Where to stay the night before your cruise? Well my first answer would be – not in your own bed! The only exception to that is if you live in Florida and are a short driving distance from Port Canaveral. Otherwise, you need a place to stay! I always recommend flying in at least one day before your cruise. Flight delays for the silliest of reasons can make you miss your ship and thus your entire vacation. Could that happen the day before? Sure! But odds are much better that it won’t if you give yourself a little wiggle room to play with. No matter where you’re sailing from, you want to be within a short driving distance on the day of the cruise. Kingdom Konsultants can help you find a good place to stay wherever you’re sailing from, but I’ll concentrate on Port Canaveral for this blog. 1. Walt Disney World of Course! - This is the most fun answer. 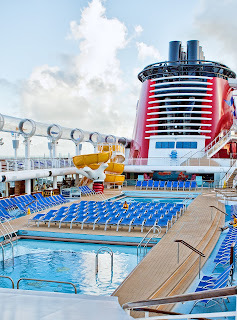 Who doesn’t want to spend a night (or more) at Disney World before they sail away? What better way to start off a magical vacation on the ocean than with a stay at Disney's Yacht Club Resort? How about a suite at the brand new Disney's Art of Animation Resort? Or a room fit for a princess at Disney's Port Orleans Riverside? Disney World has wonderful choices at all different price points. Trust me, you can find something to fit your every wish on the Disney property. And if you’ve got a few extra days to spend at the theme parks, that’s even better. But if you don’t have time to visit a park, don’t let that stop you. There are plenty of things to do outside of the parks. Get a little shopping done at Downtown Disney. Do some resort hopping and see all the beautiful choices Disney has. Play a round of miniature golf or stroll around the Disney's Boardwalk Area. Relax in your resort pool or take in some of the wonderful restaurants. The options are practically endless! 2. 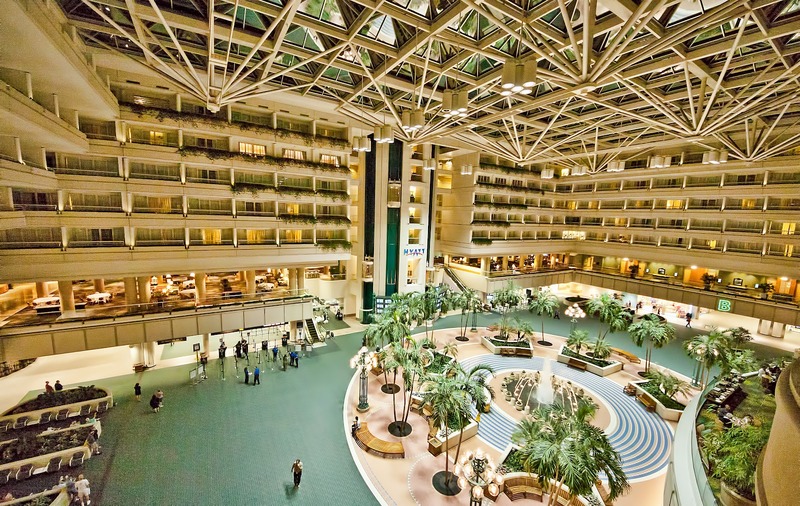 Hyatt Regency at Orlando International Airport – If you want to take Disney transfers, and don’t get in early enough to enjoy a Disney resort, this is definitely the next best option. The convenience of the Hyatt can’t be topped. The Hyatt is actually inside the airport and several of the rooms overlook part of the spacious terminal. 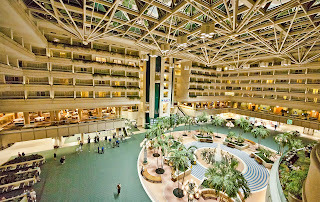 MCO is filled with several options for dinner and breakfast, plus a decent amount of shopping to entertain you! 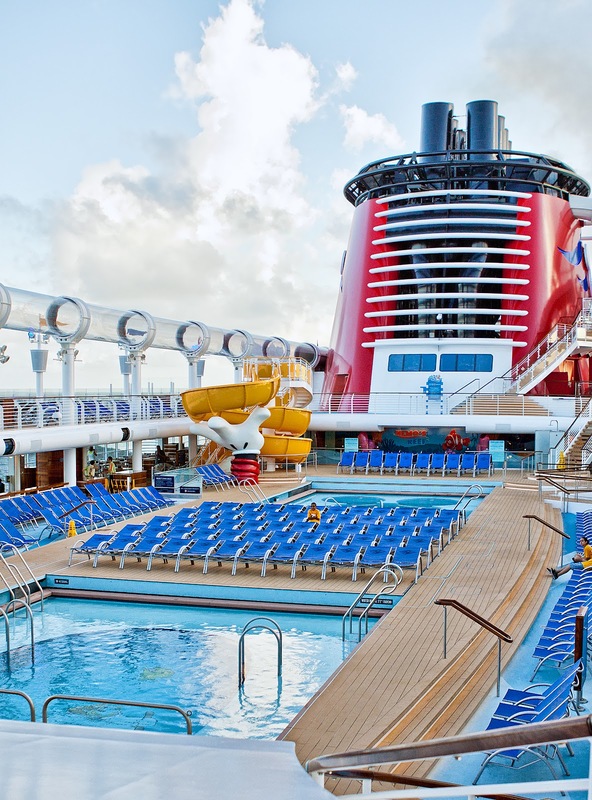 When you check in, you’ll want to remind the desk clerk that you are on a Disney cruise. They will give you a list of instructions for the next morning. After you get your luggage up to your room, you won’t have to deal with it again. The next morning, you will leave your bags inside your room and Disney will take it from there. They’ll get your bags to the ship and have them delivered straight to your stateroom. As for you, you can check in for the cruise starting around 8:30. That wasn’t an exaggeration, you can actually check in for your cruise at the airport if you are a US citizen. They will get you all checked in, give you an early boarding number and everything else you’ll need. The busses start running around 9:30 and if you’re on one of the first ones, you will literally be among the first guests in the terminal. Once you get to the terminal, you can relax and explore until your boarding number is called. It doesn’t get much easier than that! 3. Radisson Resort at the Port – If you’d like to go ahead and head over to Port Canaveral before your cruise, the Radisson is a great option. Located about 2 1/2 miles from the port, the Radisson caters to cruise clients. There are several packages that include shuttles to the port as well as parking. Considering parking at the terminal runs $15 a day, a package with parking may actually save you money. Make sure you book your shuttle time as soon as possible. There is also a package that includes transfers from the Orlando airport. There are suites and standard rooms as well as a great pool. The suites have king size beds and giant Jacuzzi tubs in the master bedroom, as well as a kitchen and pullout sofa bed in the living area. There is also a shuttle service to the Kennedy Space Center if you find yourself with some extra time. We’ve stayed at the Radisson several times and highly recommend it. You don't want to risk missing this do you? 4. Residence Inn Cape Canaveral Cocoa Beach– The Residence Inn is very close to the Radisson. 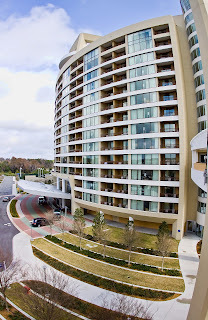 The Residence Inn is a Marriot property and all the rooms are suites with full kitchens. All guests get a complimentary hot breakfast, and, take it from me, it was delicious. There’s also a light dinner/manager’s reception on Monday, Tuesday and Wednesday evenings. The shuttle service to the port is $6 a person, and there are discounted parking packages available. If you don’t want to have to go to bed at the same time as the kiddos, this is where you want to stay! 5. Ron Jon Resort Cape Caribe– The Ron Jon Resort is a good option if you’ve got kids or adults who love to swim. The pool is better described as a water park than a simple pool. There’s a giant pool, hot tub, a four story water slide, lazy river and a pool for tots. There’s also miniature golf, tennis and basketball onsite. There’s even a movie theater! Ron Jon is actually a vacation club, but you don’t have to be a member to stay. The rooms are studios or 1, 2 or 3 bedroom villas. Located right off Cocoa Beach, it’s about 3 miles to the port. There is also parking available for cruisers, but there is not a hotel shuttle to the port. It’s not far though, so a taxi ride will be pretty reasonable. If you’re looking for more than just your average hotel stay, Ron Jon is where you want be! How about you? Have you stayed somewhere the night before a cruise that you loved?